London: Brent crude held above $109 per barrel on Friday as financial markets awaited two key summits of European leaders to agree a solution to the euro zone’s debt crisis. France and Germany said European leaders would examine in detail a global solution to the crisis on Sunday and aim to adopt the plan on Wednesday at the latest. Stocks bounced after Paris and Berlin said a comprehensive euro zone debt deal was on its way, if a little late, although a weaker euro and rising bund futures suggested not everyone was convinced. The long-running saga was meant to be concluded at a meeting of regional leaders over the weekend, but disagreement over the make-up of the sovereign rescue fund stalled talks. Failure to deal with the debt crisis is damaging confidence in Europe. German business sentiment fell for the fourth month in a row in October, dropping to its lowest since mid-2010 and compounding fears Europe’s biggest economy is headed for a sharp slowdown. 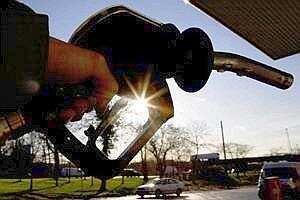 North Sea Brent crude oil futures fell 10 cents to $109.66 a barrel by 3:05pm, after rising to as much as $110. US crude oil gained 35 cents to $86.42 a barrel. “The big risk for markets is that EU leaders don’t deliver what is expected: a solution to the debt crisis," said Carsten Fritsch, commodities analyst at Commerzbank in Frankfurt. Caren Seren Varol, a risk manager at Global Risk Management, agreed, saying Brent could climb to around $114 if there was “some solid agreement on the debt crisis." “If there is no agreement, we may see prices fall all the way down to the $103-$104 level," Varol added. Investors are worried deep divisions between France and Germany mean there will be scant progress on strengthening the euro zone bailout fund. The major sticking point is over how to scale up the European Financial Stability Facility (EFSF), a 440 billion euro ($600 billion) fund so far used to bail out Portugal and Ireland. France and Germany disagree over the best way to bolster the facility, with Paris fearing its triple-A credit rating could come under threat if the wrong method is chosen. Reuters technical analyst Wang Tao argues Brent will remain neutral in a range of $106.96-$110.30 per barrel. Oil prices rose on Thursday, bucking a broader sell-off across commodities. The 19-commodity Reuters-Jefferies CRB index settled down 1% as cotton, cocoa and coffee joined a plunge led by copper. Oil gained mostly because prices have been tracking equities and news from the European Union, while fundamentals are driving copper and other commodities, Varol said. Expectations of a colder winter in the United States, which helped push US heating oil futures higher, also supported crude prices. A strengthening La Nina weather pattern this winter will cause colder and wetter weather in the north of the United States and drier and warmer conditions in the south, US government forecasters said. The world’s biggest energy consumer will enter the winter with relatively low inventories of both crude and oil products after a period of destocking, which traders attribute to lower imports, higher exports and a steep backwardation in international crude oil markets. Analysts at Barclays Capital noted that US oil stocks have now dropped below their five-year averages. “The surplus has gone, with inventories having fallen almost 1 million barrels per day (bpd) over the past month relative to the normal seasonal pattern and the latest week showing a decline of 1.8 million bpd relative to the five-year average," Barclays Capital said in a report to clients. Traders said the killing of former Libyan dictator Moammar Gadhafi was unlikely to have a impact on the oil market.